The Sunshine World Big Air Bag, Sponsored by 3Ryde, is open from 12pm to 6pm every day. What is a Big Air Bag? As you can see by the images on this page, a big air bag is a soft, inflatable cushion designed to soften and secure the impact from landing tricks while snowboarding, skiing, free -style skiing, BMX,mountain biking, mountain boarding, parkour, freerunning and indoor climbing. When learning freestyle skiing, snowboarding, parkour or freerunning, often the hardest thing is taking the first 'leap of faith'. The consequences of a bad jump can be extremely painful and is the reason most skiers and snowboarders stay stuck to the snow. However when jumping onto the big air bag, you minimise the risk. You can practise any trick you like until you get good enough to go for the 'real deal'. This winter the Sunshine World Big Air Bag will be set up every day at Bialka Tatrzanska - The best ski area in the Zakopane area. It will be free to use for Sunshine World guests and academy members. There is no other ski area in Poland that will have an air bag set up every day of the season. During the coming winter season - 2011/12 - we will be running freestyle competitions twice a month at Bialka Tatrzanska. There will be great prizes for both competitors and spectators. 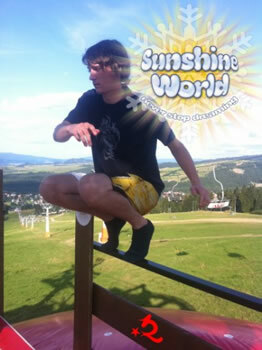 Sunshine World guests are welcome to entre as long as your Pro Team instructor agrees that your are at the level to jump. 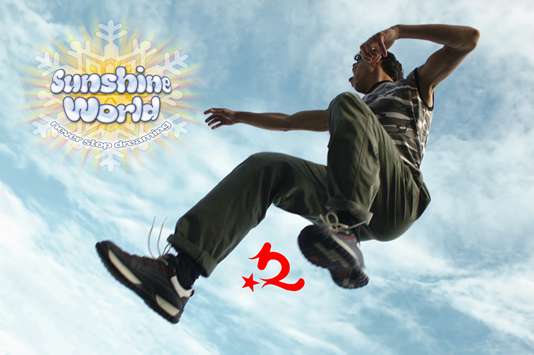 The best way to stay informed about upcoming events and competitions is to add Sunshine World as a friend on Facebook click this to see our facebook page. Sunshine World at the Kia Snow Cup. Bialka Tatrzanska, Poland. 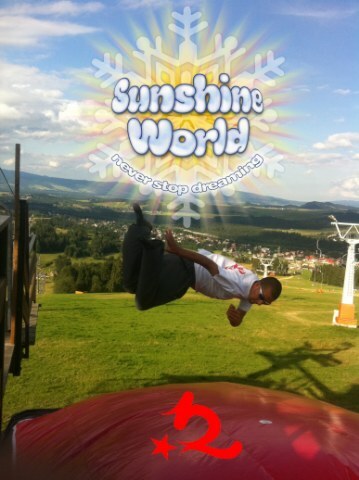 Duing the summer the Sunshine World Air Bag will also be set up at Bialka Tatrzanska. However instead of skiing off of a jump you can jump from a platform onto the bag. In the summer the bag is used for Parkour and freerunning training. The summer just gone - 2011 - saw the first ever European Freerunning Association competition take place. With the summer coming to an end, the Big Air Bag Freerunning Cup was a perfect way to finish the season off on a high. Over the two days of competition (27.08 - 28.08) the Cup attracted a number of people to the Kotel Nica resort of Bialka Tatrzanska, Poland, where they battled it out to be the 2011 champion. The first of many competitions brought out some talented freerunners, who produced some exceptional skills and tricks to make for an exciting close fought fight for the title. The Cup's judging system is unique in the way that the judges will be you the general public! Compilation videos of each competitors tricks have been made and put up onto youtube. Over the next few months voting will take place, with the competitor who's video has the most 'LIKES' or 'THUMBS UP' on Youtube being crowned the champion of 2011 and winning themselves a prize of 1000PLN.